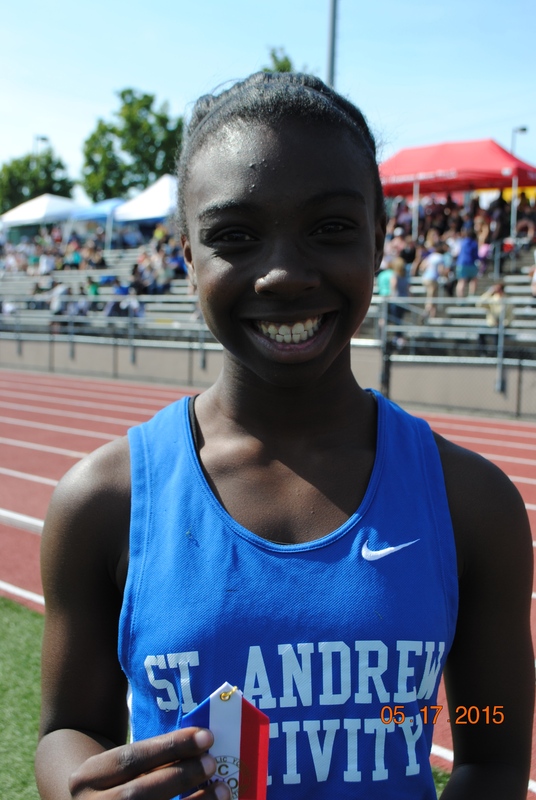 Keziah Hollands from St. Andrew Nativity School put 10 points on the board for her team with her victory in the Cub Girls 200 meter dash at the CYO Meet of Champions May 17, 2015. She was a lot of fun to watch as she powered half way around the track to claim her prize. 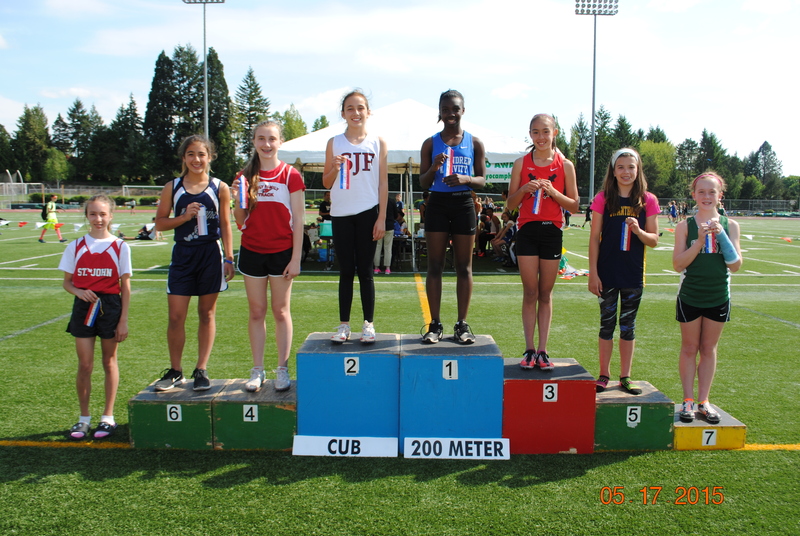 Congratulations Keziah!